If you’re looking for a new phone in 2019 that has a bunch of features, the LG G8 ThinQ should be on your shortlist. Compared to something like the Google Pixel 3, a purposefully plain phone, the LG G8 is on the opposite side of the spectrum. It’s vibrant and chock-full of experimental software tweaks and fan-favorite hardware features. It’s refreshing to use a phone that’s capable of so much. LG places no walls around you; you can use as much or as little as it offers. At its core, the G8 is a competent Android 9 Pie phone with the latest Snapdragon 855 processor and 6GB of RAM. It has a sharp 6.1-inch OLED display, a screen-rattling loudspeaker, and a headphone jack bolstered by a Quad DAC that sounds incredible with wired headphones. The G8 also offers wireless charging, supports microSD storage, and has an IP68 rating against water and dust ingress. Most of what I just listed describes what you’ll also get in 2018’s LG G7 ThinQ, which you can find for roughly half the cost of the $840 G8. In fact, the G8’s design is mostly a rehash, with its 19.5:9 screen aspect ratio and wide notch to match, though the G8’s notch is a little different. Populated by a new Z Camera multisensor system, it can unlock the phone securely using your face or your hand’s vein structure. Z Camera also allows for the phone’s other big feature, Air Motion, which lets you use hand gestures to, say, raise the volume or pause a song in Spotify, without touching the G8. 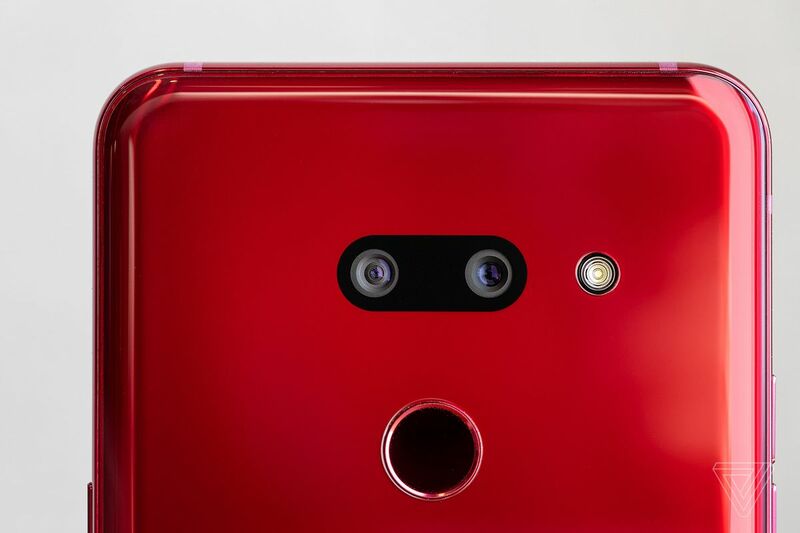 Digging deeper into the G8’s unique features, its notch houses an 8-megapixel selfie camera, a Time of Flight (ToF) sensor, and an infrared emitter. Once the object or person in the frame is covered in infrared light, the ToF sensor can detect its depth, which is critical for LG’s new features, Face Unlock and Hand ID. Face Unlock, as you might expect, gathers a 3D scan of your face angled in different ways, and it won’t unlock with a 2D image. I tried to fool it with a picture and a video recorded on a different phone, but I didn’t have any success. A good failure. Face Unlock is definitely fast and convenient enough that I rarely used the fingerprint sensor located on the phone’s back. However, I can’t say such positive things about Hand ID. Hand ID unlocks your phone when it authenticates the unique vein layout in your palm above the Z Camera, and LG notes that this is a less secure method of protecting your phone. Hand ID is an interesting idea, but in practice, it’s slow to detect a match, often failing to read my hand accurately. Even when it’s successful, sometimes it asks for a secondary method of authentication. Hand ID is more of a roadblock than it is a viable way to gain access to the G8. LG’s marketing loudly trumpets these new features, but when you pick up the phone, the device itself doesn’t make much of an effort to convince you to use them. That’s a shame because Face Unlock is one of my favorite features on the G8. But as for Hand ID and Air Motion, which we dig into below, they don’t rise above the status of party tricks that may delight but probably won’t convert onlookers (or even the person using the G8). The unique features are cool when they work. Even when they do, the Z Camera’s additions don’t enrich my experience to the extent that I’d pay a premium for them. Some retailers are offering the G8 for $699 unlocked for use with any GSM or CDMA carrier, and if you’re able to find it for this price, you’ll get a lot of phone for your money. But my feelings about its highlight features aside, there’s the lingering issue of software updates. The most damning thing about every new LG phone that hits the market is that timely software updates are not forthcoming. Here’s a familiar refrain: LG has done too little to assure prospective buyers that this year’s flagship phone will be kept up to date. 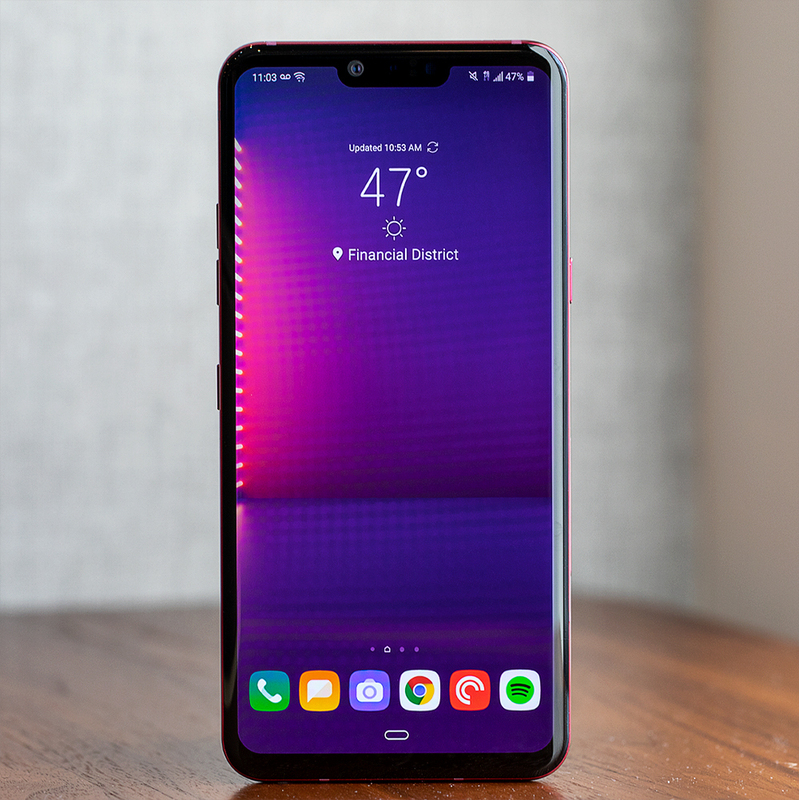 In my colleague Chris Welch’s review of the G7 ThinQ in 2018, he said LG “promised to make a better, honest-to-goodness real effort at delivering future software updates at a timely pace.” That didn’t work out as planned. Android 9 Pie first launched in August 2018, though some G7 users are still waiting for the update. Things may change, eventually, but I don’t think that they’ll be any different for the G8. You’re buying an Android Pie phone that might be stuck on Pie for a long time after the release of its successor. Surprise me, LG. Relative to the 2018 LG G7, the G8 feels more weighty and substantial, but unless you’re picking apart a spec sheet, you might not notice any differences. 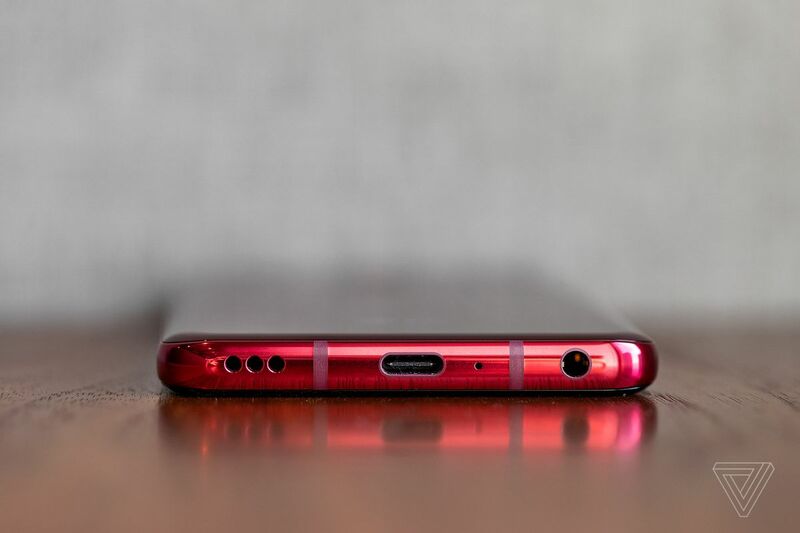 The nicest upgrade is the fact that the rear cameras now sit under the same piece of glass covering the rear of the phone, generating no camera bump or disturbance at all. 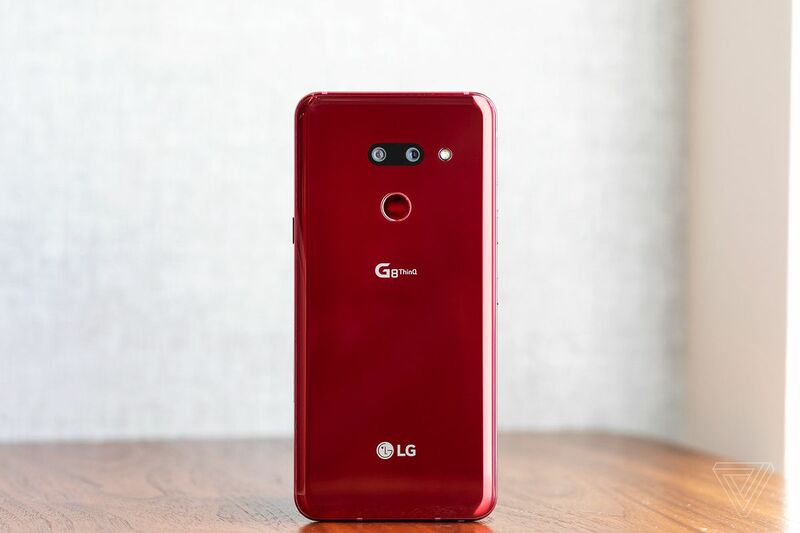 Compared to its Android contemporaries, the G8 is one of the smaller flagships on the market, and it should appeal to people who find the Plus models from other manufacturers to be too big to handle. On the inside, the G8 features the Snapdragon 855 processor that’s Qualcomm’s current best chip for Android phones, and the phone’s 6GB of RAM makes for a smooth experience. Switching through apps, scrolling around mindlessly, and putting the G8’s camera features to the test didn’t cause any noticeable hiccups. The 3,500mAh battery is a sizeable increase over the G7’s 3,000mAh, and it’s more than you’ll find in the Samsung Galaxy S10 or S10E. I didn’t have to worry about the G8 running out of battery on a typical busy day of taking pictures outside and chatting with friends on Snapchat, but it needed a refill every evening. LG opted to swap the bright IPS LCD used in the G7 for an OLED display, which gives it deeper blacks and better contrast. The company also got rid of the earpiece, instead utilizing a piezoelectric speaker behind the screen to create sound with vibrations from the phone’s frame. This works well in quiet settings, and when paired with its loudspeaker, it creates a somewhat convincing stereo effect. But if you take a call on a windy day or in a busy restaurant, it is far too weak to hear clearly. LG also uses the Z Camera to add bokeh to selfie portraits, but that really isn’t much of an improvement. Even the Google Pixel 2’s single-lens computational bokeh worked more effectively than LG’s bespoke hardware. Speaking of the camera performance, I’ve always felt that LG’s optics are on the edge of something great, but they remain a step behind the competition. Easy shots with generous amounts of natural light are decent, but they usually come out fuzzy around the edges and have a cooler color temperature than I like. Good shots are possible even at night, though LG’s Night view doesn’t hold a candle to the Huawei P30 Pro’s low-light capabilities or the Pixel’s Night Sight. Like last year’s phone, the G8 is still slow to capture, which leads to lots of blurry photos. Additionally, it has a hard time getting skin tones right, portrait shots have inconsistent bokeh, and the auto-exposure can be all over the place. LG was able to patch previous phones with AI features that were said to enhance low-light performance, so I’m interested to see if LG could improve the state of things here. But when it comes to LG and delivering software when a device needs it the most, I’m not hopeful. Despite its limitations, I think that this is the closest that an LG camera has come to producing photos that I’m happy posting to social media without retouching. If auto mode isn’t getting the job done, you can get good results with the manual mode, which lets you seize control over the usual variables like shutter speed and ISO, and the ultra wide angle shots are always fun to snap. The Z Camera can do another interesting trick called Air Motion. It’s a feature that lets you control a few tasks with hand gestures. What it actually lets you do differs slightly depending on the app you’re using, though the procedure to initiate it is the same: hold your hand near the phone’s front-facing sensors, and wait until you see a stripe of blue light beneath the notch. Then, a small window will show your hand as viewed through the infrared camera. 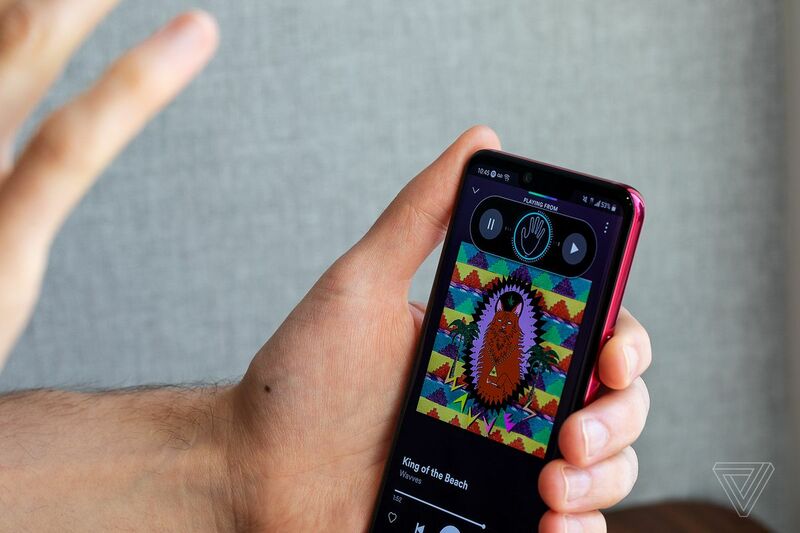 While using Spotify, for instance, you can tweak the volume by making a knob-turning motion or pause a song by moving your hand left or right of center. The controls are similar for other multimedia apps that you download on the G8, like YouTube, Amazon Music, and the preinstalled music and video apps. For practically any other app, the default Air Motion gesture is a pinch to capture a screenshot. Then you can set a custom shortcut to open any app that you have downloaded by moving your hand left or right of center. Outside of LG’s own sphere of design, other phones are going all in on new hardware features like hole-punch cameras and in-display fingerprint sensors. 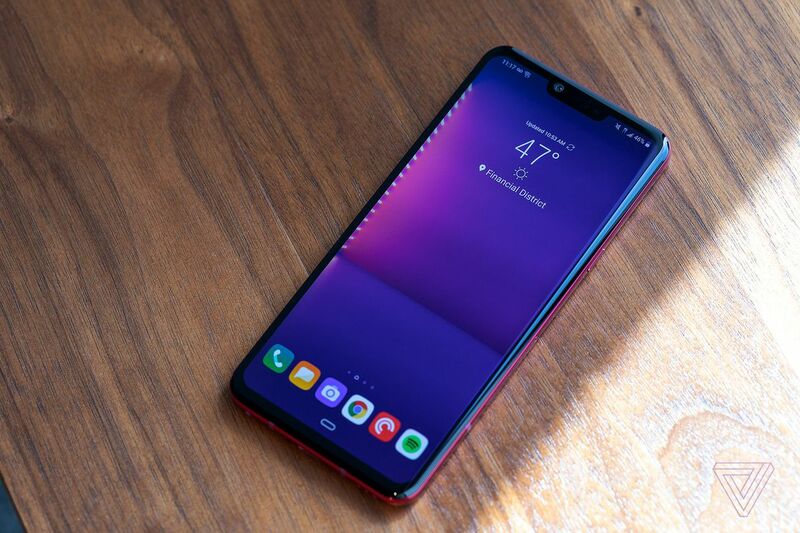 It’s not a big strike against the G8 that it doesn’t have these novelties, especially since we found the in-display fingerprint sensor in the Samsung Galaxy S10 Plus to be slow compared to traditional fingerprint sensors. 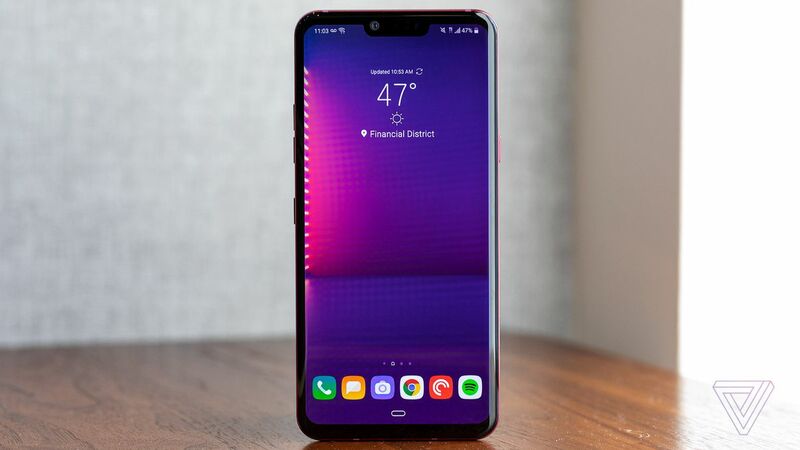 But by comparison, the G8’s design is basically a repeat of last year’s LG G7 ThinQ, and sitting still in the smartphone market makes it an even harder sell. Of course, some mainstays from past LG phones are a good thing. Its best-in-class haptics motor, for example, is always welcome to the party. More phones are beginning to take haptic feedback seriously, providing more nuanced vibrations than bleary buzzes, and LG still leads the pack of Android phone makers. The haptics almost purr when you navigate the G8. Whether you’re running through basic tasks, like texting, or scrolling through your list of opened apps using Android 9 Pie’s pill-shaped home button, expressive haptics make bland tasks a little more fun. The digital-to-analog converter (DAC) is an essential component in any modern audio system. It’s the circuitry that converts the 0s and 1s of your digitally stored music into an electric signal that can be played back via headphones and speakers. The reason why DACs matter is that the process of conversion is not straightforward. There are a bunch of errors and flaws to correct for, and a perfect translation is very difficult to achieve. The best DACs can scale in price up into the tens of thousands of dollars, but most of us will experience the cheapest varieties, which come integrated in our smartphones, laptops, and basically any digital device that produces sound. Wireless headphones each have their own built-in DAC, which means their sound quality isn’t dependent on the device that provides the music. The headphones do their own conversion. Another feature I’m always happy to see is the headphone jack. And since it’s in an LG flagship phone, it’s not just any headphone jack. There’s a Quad DAC built in that dramatically improves the sound quality with wired headphones. It’s not activated by default, but when I switch on the Quad DAC, music occupies a more expansive soundstage, with each instrument and layer of the track coming through clearer. The additional DTS: X virtual surround sound effect adds a bit more attack to your tracks if you want a fuller, bass-heavy sound. To achieve similar results with other phones, you’ll have to get a portable DAC or stick to using it at home with a desk-bound DAC. Either option is an added expense and quite a bit more cumbersome than what LG provides. The G8 continues LG’s dead sprint to innovate. Most times, it seems, just for the sake of saying that it tried. The byproduct is an improvement, in the most inconsequential of ways, over the G7 ThinQ. Ultimately, it’s an incremental upgrade that offers better battery life, a better screen, a faster processor, and more RAM. 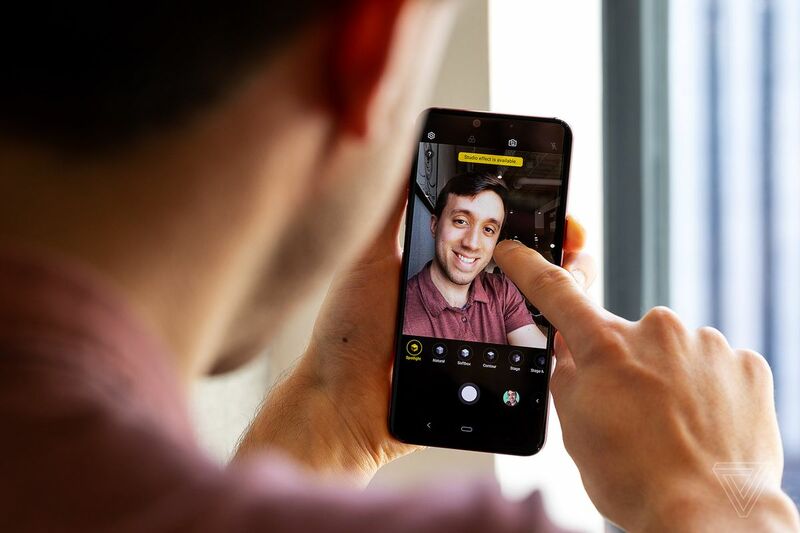 This year’s phone places emphasis on the new Z Camera that enables Hand ID and Air Motion, and while interesting, I don’t think that they’re selling points that you should care about. Without those features, this year’s phone doesn’t move the bar. 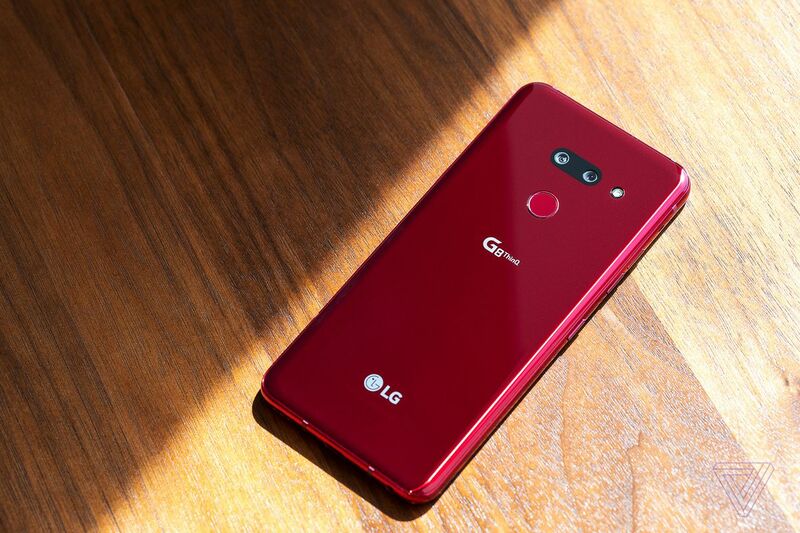 LG usually overhauls its G-series each year, but comparing it to Apple’s smartphone naming conventions, the G8 is more of an “S” upgrade to the G7 ThinQ. Many things about it are the same, but there are a few improvements that might interest you. 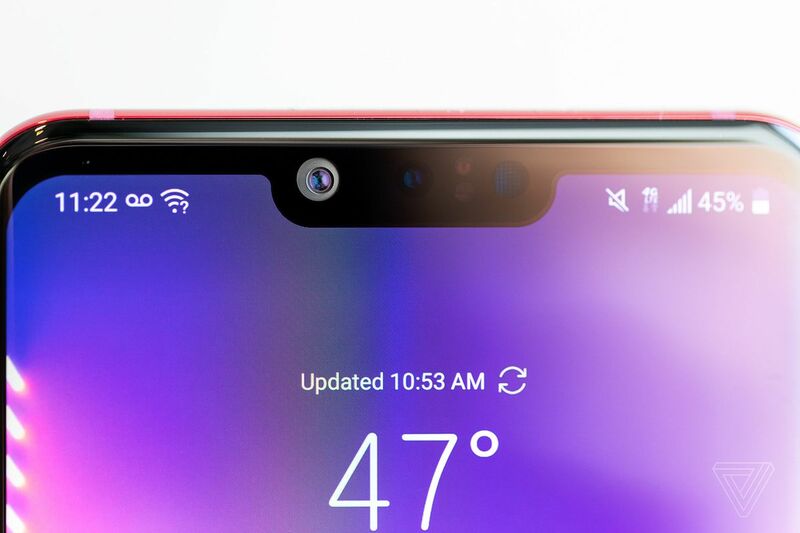 Most S-year phones are worth checking out because, as Dieter Bohn said in his review of the Pixel 3, “It’s better to be on the S-cycle: you get a faster phone, better camera, and the fixes that come after a year with the original design.” But aside from improved specs, the things that changed in the G8 ThinQ are things that I think most users can carry on without.